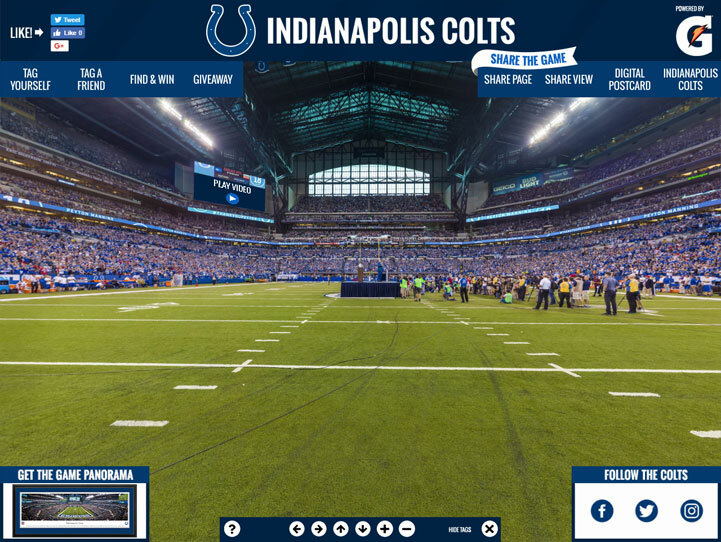 This panorama of Lucas Oil Stadium sets the scene for a matchup between the Indianapolis Colts and the San Francisco 49ers on a Sunday afternoon of football. The day was marked with a special tribute to five-time NFL MVP and future Hall of Famer Peyton Manning, who played 14 seasons in a Colts jersey and brought the city its first Super Bowl title. During a special halftime ceremony, the Colts inducted Manning into their Ring of Honor and retired his jersey. Manning's number was the first the team has retired since their move to Indianapolis in 1984 and he will be forever memorialized with his statue outside of Lucas Oil Stadium.